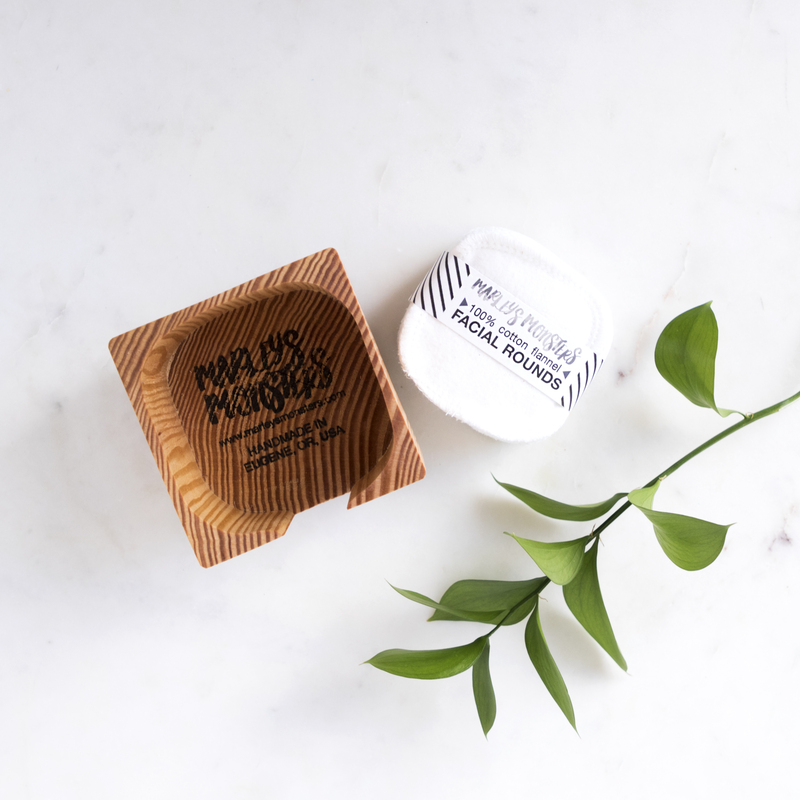 Marley's Monsters Wood Facial Round Container make storing reusable cotton pads convenient and stylish. 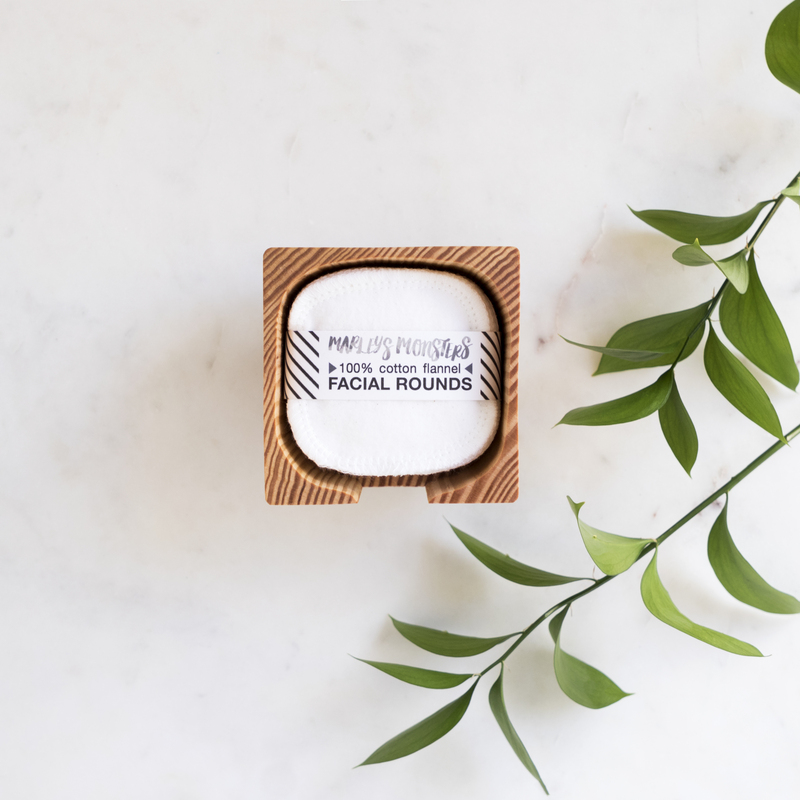 No more plastic bags to fumble with or need to hunt down pads when cleansing skin or applying makeup. 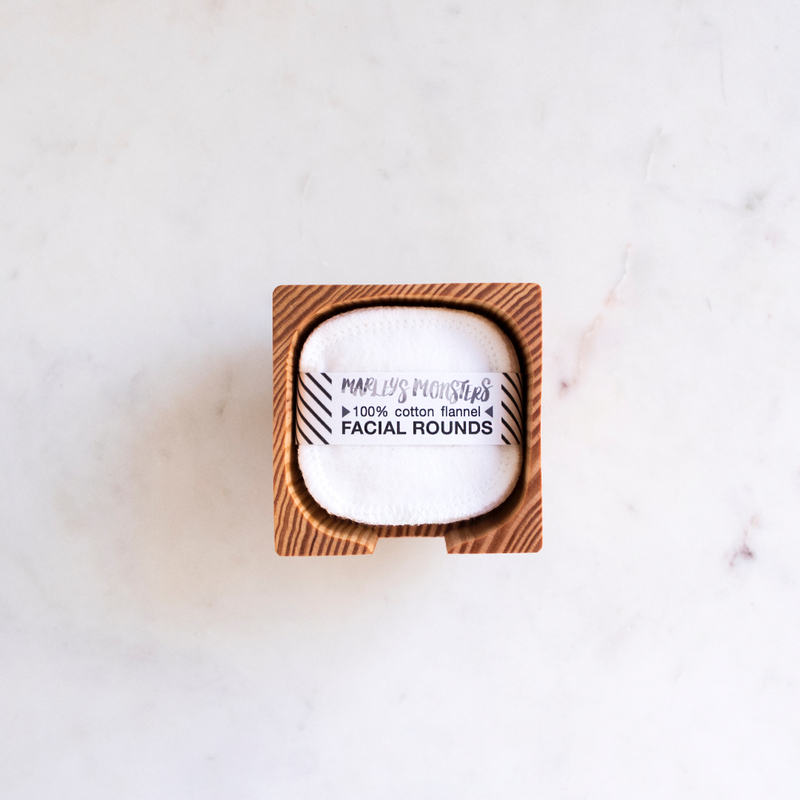 These beautiful wood containers make stacking cotton facial rounds sink-side a cinch. A handy finger slot makes for quick and easy grabbing. Each unique container is carved from a Douglas fir block and finished with a dry oil. Stack cotton pads in wood container.